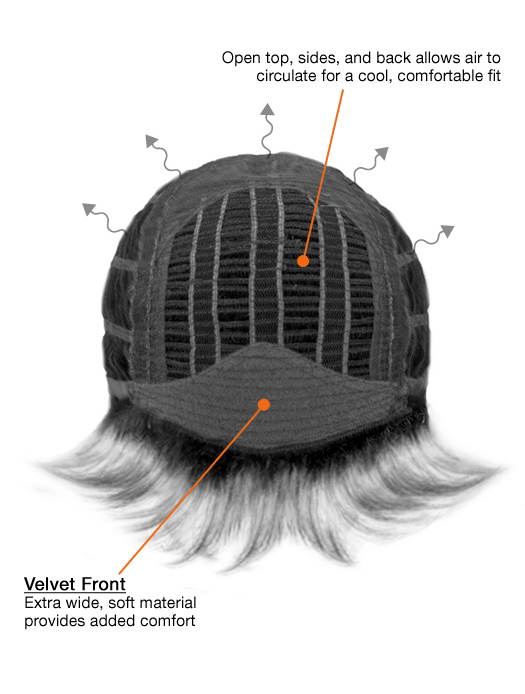 Cool, Soft, Secure Fit - Open cap construction allows superior ventilation to keep your scalp cool. 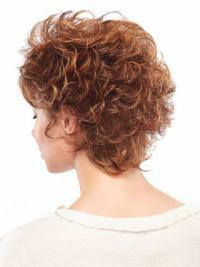 This design also reduces the cap weight of each wig, for a more secure fit.Lightweight For Ultimate Comfort -Our wigs provide maximum comfort with minimum weight. Absolutely the best wig everThis wig is well made. I think it will last a long, long time. I wear mine with the sides pulled behind my ears. The cap stays snug on my head without no tape and there is no fear of losing it. Most of all, it looks very natural. There is a lot more hair in it that I thought there would be. I highly recommend it. BEAUTIFUL wig, I will do business with them again. Absolutely the best wig ever. Lovely hairI have purchased two of these wigs. 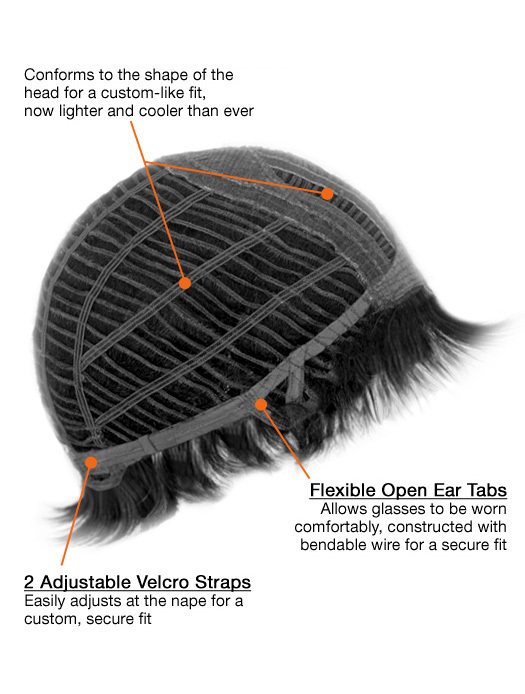 The quality of the hair is wonderful and the adjustable velcro band fits my head perfectly. I did have three comb clips sewn in just for my own feeling of security. I have been wearing wigs for 16 years because of male patterned baldness. I finally found the perfect wig fit, hair quality, and colouring for me. I would recommend this wig to anyone who likes to have a full head of hair look that is easily cut to make it perfect. I will probably buy a third one very soon. I love it even moreI just received my wig today. This wig is amazing it has more hair than the Always wig. The colour I got is shaded hazlnut brown. Its a really pretty brown colour with daker roots. The lace front is really nice. It looks like its growing out of my head. When I first saw this wig I was like I have to have this wig and now that I have it I love it even more. It is a must buy. i just love itI love the color the cut and how it bumps up in the back. My husband hates short hair on me but he loved this wig so nice. I love my reds and blondes together. It is actually more blonde than red really I just love it. Great Wig Natural LookingMy first reaction when I put this wig on, fresh out of the box is OMG it is so thick! As recommended, I went to my hair dresser stylist, and after the hair dresser thins it, and trims it to my liking, it looks good on me more natural, less bulky, totally me. A human wig requires a little more time and care, but you can use hair styling devices on it, not fear that it would burn, and even dye it. The wig maintains it looks till the next wash. Stylist recommends washing once a week. Might order another oneI was hesitant to spend this much money on a wig..but after wearing it out I got soo many compliments..Might order another one in a different colour..